Live Graffiti Artists for our Dia De Los Vivos @ Belmont Artspace! 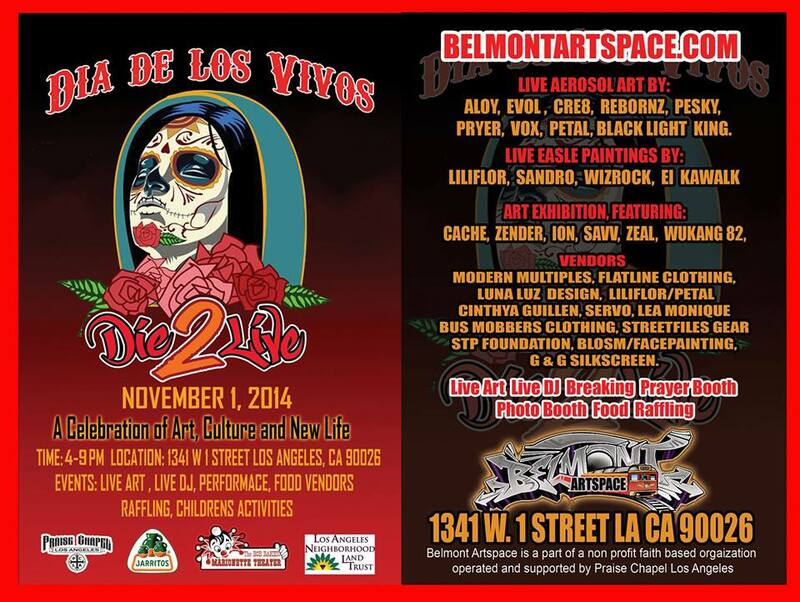 Check out our Live Graffiti Artist that will be part of the Dia De Los Vivos event at Belmont Artspace, this November 1, 2014 from 4:00pm to 9:00pm at 1341 West 1st. Street, Los Angeles California 90026, in conjunction with the Bob Baker Theater . Come out and support our Graffiti Community! Much love and respect to all these legends in the Graffiti Art Movement, always a pleasure working with them. ALOY,EVOL, CRE8, PRYER, PESKY, PETAL, REBORNZ, BLACK LIGHT KING, VOX!